Being outside the office doesn’t mean you have to stop helping your customers. 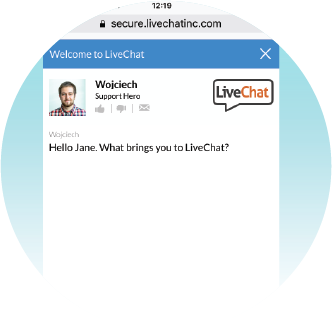 LiveChat is available for iPhone, Android and iPad, so you can immediately respond to customers’ queries and keep your support going. Just because you’re not in front of your computer, it doesn’t mean you have to lose your leads. 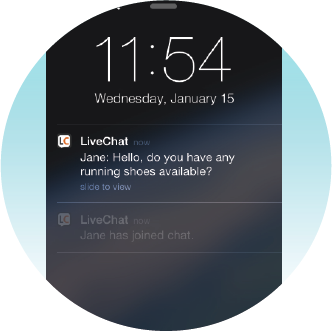 Push notifications will let you know about new customers, chats and messages. Mobile chat can work in the background. Close your last chat, and simply return to your daily activities. 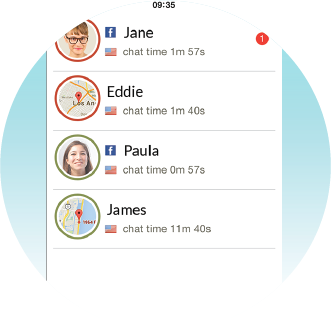 The application will keep inviting prospective visitors and notifying you about incoming chats – no matter what you do. Mobile apps allow you to start a conversation with visitors. Invite them to chat and increase your chances of closing a sale. 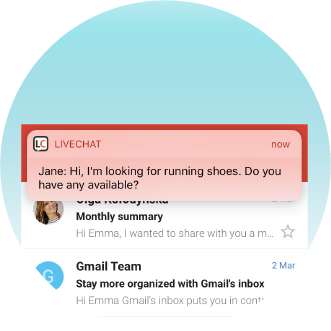 Having LiveChat on mobile means that you can chat with multiple users at the same time. To speed up your response time, use chat improvements like canned responses. Join your agents’ conversations covertly and see how they are doing. Help them by whispering helpful tips that won’t be visible to clients. You can simultaneously using several devices to chat. When you’re at the office, you can answer with your desktop app and when on the go, you can keep the conversation going through mobile chat. Our agents are always on the move and cannot miss a phone call, an email, or a live chat! The mobile–capable chat window allows an instant response that can impress a prospect buyer. 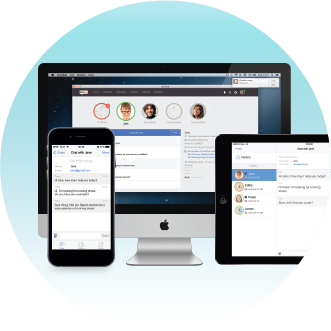 Get your free, 30-day LiveChat trial and start chatting with your customers wherever you are!